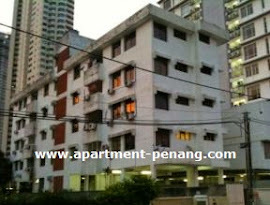 The Ascot is a low density freehold apartment located along Jalan Concordia at Gurney, Penang. The Ascot consists of a 4-storey apartment block and has a total of 9 units. Each apartment unit has a built-up area of 1,700 sq.ft. comes with 4-bedrooms and 3-bathroooms. The nearby apartment blocks of The Ascot are Millennium Tower, Gurney Palace Condominium and Concordia Court Apartment. - Land / Factory / Houses & etc ….